My son has a frightful disease: Arachibutyrophobia. Though he didn’t know the technical name of the ailment, he properly diagnosed his case. 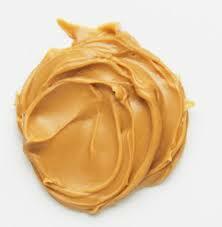 Arachibutyrophobia is the fear of peanut butter sticking to the roof of your mouth. Seriously, ground peanuts terrify the boy. I understand my son’s fear. I was a pitiful little thing growing up. The list of things I was afraid of would fill a three-ring binder: The dark; thunder; being abandoned at the baby sitters; roller coasters; animals. An unfamiliar dog once wandered into our yard, and I became so unnerved I tore through the bottom of the screen door to our home to get inside. Psychologists call it panophobia – the fear of everything. Most of my fears were ungrounded. There was really nothing to be scared of, except for my school bus driver, Mr. Otto Walraven. He instilled fear into the bravest soul as he shook a switch the size of a tree limb at us in that large rear view bus mirror. More than once I saw him remove high school juniors and seniors from the bus and throttle them along the side of the road. Old Otto would be in the penitentiary these days, God rest his soul. Over three hundred times in the Hebrew and Christian Testaments the Bible speaks to us with the simple words, “Fear not.” See, the most repeated command is not “Love thy neighbor,” or “Repent of your sins,” or “Do not kill,” as important as these things are. The most repeated instruction is to give no place to your worries. What an appropriate reminder for us today. The spirit God gives us – that is, what furnishes us with breath and life – is not the racing heartbeat of panic. No, we are not enslaved to dread. The spirit given to us, and within us, is one of power, love, and self-discipline. We have been given the power to face each uncertain day; the love to overcome the hatred and bitterness that surround us; and self-discipline when everything else seems so out of control; for our security is not dependent upon the strength of our military or foreign policy. Our future is not guaranteed by the performance of the leading economic indicators. Rising oil prices, inflation, and the never-ending mortgage crisis may cramp our portfolios; and elevated terror threats may cause us to alter our travel plans, but these should not take away our peace of mind. For this peace is a peace that comes from above, and it surpasses all human understanding. Dr. E. Stanley Jones says it far better than I can: “Fear is not my native land. Faith is. I am so made that worry and anxiety are sand in the machinery of life…In anxiety and worry, my being is gasping for breath. These are not my native air. But in faith and confidence, I breathe freely. We are inwardly constructed in nerve and tissue, brain cell and soul, for faith and not for fear. God made us that way. To live by worry is to live against reality.” I’ll choose to live during these perilous days within the reality of God; a place without fear. And I’ll try my best to convince my son that he can safely eat peanut butter. I may have more success with the former than the latter.